Dr. Harry Ostrer, M.D. 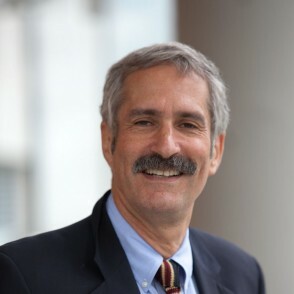 is Professor of Pathology, Genetics and Pediatrics at Albert Einstein College of Medicine and Director of Genetic and Genomic Testing at Montefiore Medical Center. He investigates the genetic basis of common and rare disorders and, in the diagnostic laboratory, translates the findings of genetic discoveries into tests that can be used to identify people’s risks for having a disease prior to its occurrence or for predicting its outcome once it has occurred. Dr. Ostrer is a long-time investigator of the genetics of the Jewish people. In 2007, he organized the Jewish HapMap Project, an international effort to map and sequence the genomes of Jewish people. In a series of publications about Abraham’s Children in the Genome Era, Dr. Ostrer and his team of investigators demonstrated that the history of the Jewish Diasporas could be seen in the genomes of contemporary Jewish people. He explores the significance of a biological basis for Jewishness on individual and group identity in his forthcoming book, Legacy: A Genetic History of the Jewish People (Oxford University Press, June 2012). He is also an investigator of the genetics of Hispanic and Latino people, including Puerto Ricans, Dominicans, Ecuadorians, and Colorado Hispanos. Dr. Ostrer is an advocate for fairness in the use of genetic information. As a member of the New York State Bar Association Committee on Biotechnology and the Law, he reviewed and critiqued all recently enacted legislation related to genetic testing. Currently, he is a plaintiff in the lawsuit, Association of Molecular Pathology versus Myriad Genetics.